My grandson, Xavier, is visiting for a few weeks so I get to experiment on getting a six year old to eat healthy food. For this morning's breakfast, we decided to make banana muffins. In this recipe, I use white whole wheat flour to get more fiber into each muffin, only a small amount of organic cane sugar and raw chia seeds, my favorite "power food", to deliver some good omega 3 essential fatty acids. With soymilk and Ener G egg replacer, this recipe is completely vegan. The muffins came out light and fluffy and, as you can see, Xavier loved them! He ate them with my low sugar strawberry jam that I made this month and posted on June 15th, 2009. Each muffin only has 127.5 calories, delivers almost 4 grams of fiber and half a gram of omega 3 fatty acid! By using egg replacer, they are free of cholesterol. And, best of all, your kids will love them! 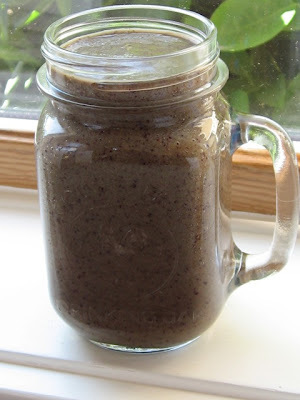 Put 2 tablespoons of raw chia seeds in 1/4 cup of room temperature water. Stir well and set aside until the water is absorbed and it forms a gel (around 15 to 30 minutes). Preheat the oven to 400 degrees and grease a muffin pan that holds 12 muffins. Combine flour, baking powder, sugar, salt and cinnamon in a bowl. Mix 1 teaspoon of Ener G egg replacer in 2 tablespoons of water and stir well. (If you eat eggs, you can replace this with one egg). In a separate bowl, combine banana, soy milk, egg replacer mixture, oil and chia seed gel. Mix wet and dry contents together and place in the greased muffin pan. Cook for 18 to 20 minutes or until a tooth pick can pierce the muffin and come out clean. Remove from oven and let cool in the pan for 5 minutes. Gently run a butter knife around the edges and remove each muffin. Serve warm with your favorite low sugar jam. Per muffin: 127.5 calories, 5.9 g fat, .8 g saturated fat, 0 g cholesterol, 3.4 g protein, 15.5 g carbohydrates, 3.6 g fiber, .5 g omega 3 and .9 g omega 6 fatty acids. Both eggs served on thick whole grain bread. Organic, free range, antibiotic free eggs with omega-3. Poaching in a non-stick fry pan. Eggs Benedict is a very popular breakfast dish but it’s also one of the unhealthiest. This healthy vegetarian alternative will allow you to enjoy it without “too much” guilt. We start with a whole grain English muffin, which adds 4 grams of fiber vs. its white, processed counterpart. Or, instead of individual English muffin halves, you can also place both eggs on one thick slice of whole grain, seeded bread. Instead of slices of Canadian bacon, we place the eggs on a bed of steamed spinach, tomato slices and soft goat cheese. 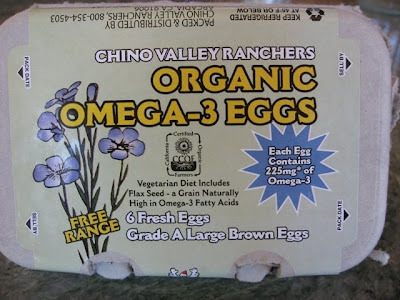 We use organic Omega-3 eggs and top them with the creamy vegan avocado dill sauce that I posted on June 19, 2009. Regular Hollandaise sauce is made with egg yokes, butter and sometimes cream. This adds unnecessary calories, fat and cholesterol to the dish (do we really need an “egg sauce” on top of eggs?). Although eggs are high in cholesterol, a bit over 200 mg per egg, they can still have a place in a healthy diet if you limit them to a few times a week and you also limit the other sources of cholesterol in your diet. Eggs themselves are pretty low in calories (70 calories each) are high in protein (6 grams of protein per egg) and are a good source of riboflavin, vitamin B12 and phosphorus. Riboflavin, or vitamin B2, is required for cell growth and energy production. Vitamin B12 is required for a healthy nervous system and for the formation of red blood cells. Also known as the “energy vitamin”, a key deficiency symptom of vitamin B12 is fatigue. It is impossible to get this essential vitamin from a raw food vegan diet so a raw foodist must supplement to avoid health problems including megaloblastic anemia and serious problems with the nervous system. Cooked food vegans must eat fortified foods like cereals, beverages and meat analogues. Phosphorous is important in the formation of bones and teeth, energy production, protein synthesis and muscle contraction. Eggs are also a very good source of selenium, a potent antioxidant vitamin that has been associated with reducing cancer risk. Egg yolks have been shown to be a highly bioavailable source of lutein and zeaxanthin, phytochemicals important in the prevention of macular degeneration. When selecting eggs, I want to make sure they come from a chicken that’s living a good life. That may sound ridiculous to some of you, but just think about it. On one hand, you have chickens that are stuffed into tiny cages, fed antibiotics, often have their little beaks cut off and never see the light of day. On the other hand, you have chickens who get to go outside, eat grass supplemented with organic vegetarian grain and flaxseeds and are treated humanely. I would venture to guess that the egg coming from the happy chicken is a lot better for you. So, if you live in the country, find a chicken farm and see how they are treated. Better yet, raise a few chickens yourself. If you live in the city, buy the most expensive eggs you can find and make sure they say, “no antibiotics”, “vegetarian diet that includes flax seed”, “cage free or free range”, and “high in omega 3”. 4 large organic, free range, antibiotic free, omega-3 eggs from incredibly happy chickens! Blend the ingredients for the creamy avocado dill sauce in a blender and process until smooth. Set aside. This will make more than you need so refrigerate it and enjoy it as a salad dressing over the next few days. Steam the spinach and place in a colander, setting aside to let in drain completely. Lightly toast the English muffins or the thick slices of whole grain bread. When done, spread goat cheese on the muffin halves or bread slices. Cover with tomato and drained spinach. 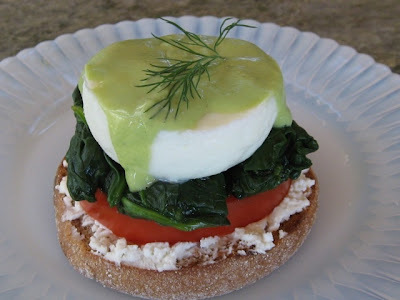 If you have an egg poacher, cook the eggs to your liking and place them on the spinach, tomato and goat cheese. 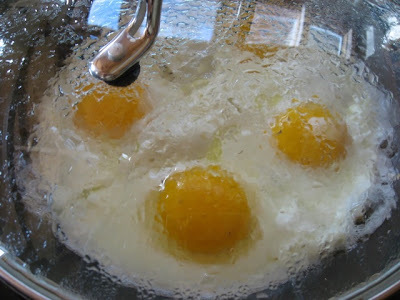 To make eggs without a poacher, spray Pam (or use a small amount of olive oil) in a 10 inch stick-free frying pan. 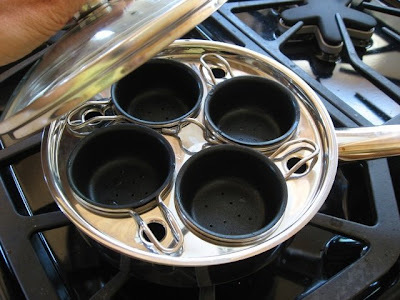 Carefully break 4 eggs in the pan making sure they are evenly spaced. In a minute or so, after they set a bit, score the eggs into 4 quarters using a spatula. Pour a quarter cup of hot or boiling water around the eggs and cover immediately. It’s best if you have a glass cover so you can see how they are doing. Cook for a few minutes until the eggs are to your liking. I like them pretty soft but some like them more cooked. 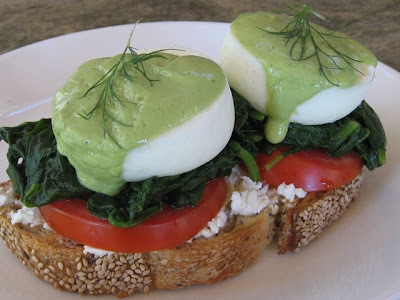 When done to your liking, score again and carefully remove each egg and place on the spinach, tomato and goat cheese. Top each egg with a tablespoon (or more) of creamy avocado dill dressing and serve immediately. You may garnish with a little more dill if you’d like. Per 2 egg serving: 392.6 calories, 18.4 g fat, 8.5 g saturated fat, 447 mg cholesterol, 26 g protein, 31.2 g carbohydrates and 6.8 g of fiber. A tender young garlic scape. Mangos with minced garlic scapes. By now you might realize that all my very spicy dishes originate from my daughter Linda who feels like a day without a chipotle is like a day without sunshine. 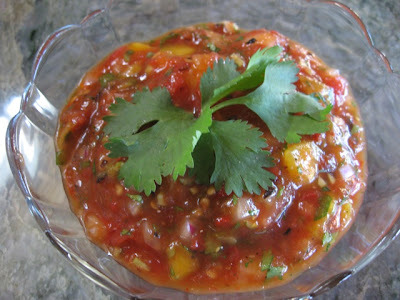 This salsa recipe utilizes the arbol chili pepper for its "heat". Instead of garlic cloves, tender young garlic scapes are used to flavor this salsa. 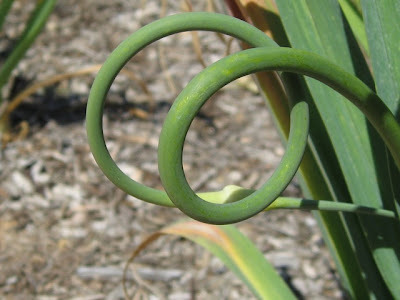 If you grow garlic you may notice that some types have curly stalks. They are typically removed so the garlic plant can devote its energy to producing larger bulbs. Many gardeners just throw these into the compost but they are quite flavorful. And since I happen to have a bunch of them from my garlic crop, I will use them in this recipe. If you don't have access to garlic scapes, feel free to use a clove of garlic. 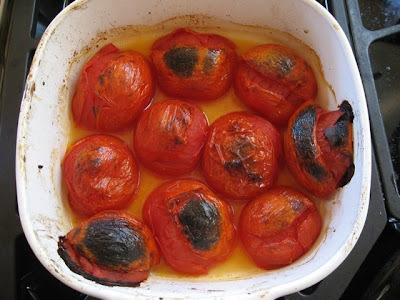 Put tomatoes in a small roasting pan, cut side down. Drizzle the olive oil over the tomatoes and with your hands, massage the oil over the skin. Sprinkle 1/4 teaspoon of salt over the tomatoes and broil until skins are slightly scorched. Remove from oven and cool. 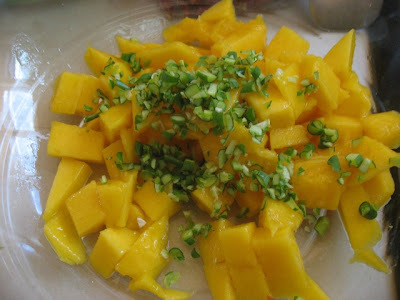 In a mixing bowl, combine the mango, minced scapes, onion, cilantro, lime juice and the remainder of the salt. Set aside. With a set of tongs, hold the arbol over an open flame until they are toasted. Be very careful that they don't burn. After they cool, crush the peppers (with seeds) with a mortar and pestle until they are powder. You may also use an herb grinder. 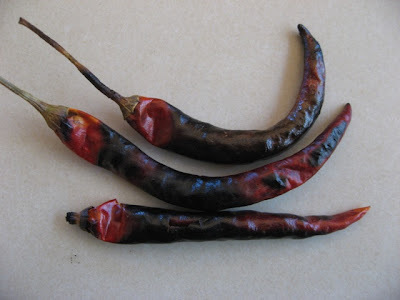 If using a wet chipotle (with its seeds), instead of an arbol chili, skip the toasting step and mince very finely with a sharp knife. Add this to the mango mixture and set aside. Drain the cooled roasted tomatoes and place in a food processor. Pulse two or three times until chunky - do not over process! Add to the mango mixture, stir in vinegar and place in a small bowl. Garnish with extra cilantro and serve with healthy tortilla chips. Per serving: 35.3 calories, 1.3 g fat, .2 g saturated fat, 0 g cholesterol, .7 g protein, 5.9 g carbohydrates and .9 g of fiber. 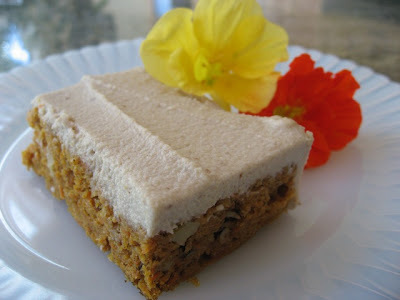 Vegan Carrot Cake with Cashew Cream Icing – Healthy AND Delicious! This past weekend at our summer solstice party, I needed to make a dessert for 20 people so I decided to make a half sheet of carrot cake. A half sheet is 12 by 15 inches. It’s funny that everyone assumes carrot cake is healthy because it has a vegetable in it. But a typical carrot cake recipe (like the one in the Better Homes and Gardens “New Cook Book”) has 2 cups of sugar, an entire cup of oil and 4 eggs in a regular size cake. Their cream cheese frosting has another 2 cups of powdered sugar plus butter and cream cheese which is high in saturated fat. So when you see carrot cake on the menu in a restaurant, there’s a good chance it is not the healthiest choice for a dessert. My goal this weekend was to develop a healthy carrot cake recipe that was whole grain, low in saturated fat, had no refined sugar or dairy and was delicious. I think I did it! This is a cake you can feel good about eating and serving to your family. Here are some of the things I did to make a healthier carrot cake. You can try these ideas on your favorite cake recipes. • Use unbleached white whole wheat flour instead of regular bleached refined white flour to get more fiber. • Use as many organic ingredients as possible. • Instead of butter, use olive oil and cut the amount in half, using applesauce for the other half. • Instead of refined sugar, use agave syrup, dates, crushed pineapple and stevia. These will reduce calories and lower the glycemic load (the measurement of food’s effect on blood sugar levels). • Replace eggs with Ener G egg replacer. This lowers calories, saturated fat and the cholesterol content of your recipe. You can replace all the eggs or just some of them. • Replace butter and sugar icings with raw nut creams sweetened with dates and stevia. A little coconut butter will stiffen the icing. • When walnuts are called for, use “raw” walnuts to help preserve their high omega 3 content. Clear out a space in your refrigerator for half a sheet cake. To make the cake, preheat oven to 350 degrees. Line a sheet cake pan with wax paper going up two sides with a continuous sheet. The other two sides can just be greased with olive oil or Earth Balance vegetable shortening. You can spray a little olive oil Pam on the wax paper to make sure the wax paper comes off of the cake easily. You will need thick cardboard the size of the sheet cake pan (covered with paper or aluminum foil) to turn the cake on after it cools. In a large mixing bowl, combine flour, baking powder, baking soda, salt, cinnamon and nutmeg. Add carrots and with a hand mixer, blend well to coat the grated carrots and remove any lumps. Mix Ener G egg replacer with 3/4 cups of warm water blending thoroughly. Add this to the mixing bowl along with oil, applesauce, agave syrup, crushed pineapple and 2 tablespoons of the saved pineapple juice. Mix well, and then stir in the chopped walnuts. Spoon into the sheet cake pan and spread out so it’s even in thickness. This cake is NOT very thick so don’t be alarmed. Bake for 25 minutes and check for doneness with a tooth pick which should come out clean when done. Let the cake cool in the pan for at least an hour. When it’s completely cooled, carefully flip it over on a large piece of heavy cardboard covered with aluminum foil or decorative paper. The cake is now ready to ice. For the icing, rinse the soaked cashews. Put the cashews and all icing ingredients in a Vita Mix blender except for the Stevia. Blend until smooth. You will have to continually stop the blender and push down the mixture. Take your time and don’t overheat your blender. When the icing is completely smooth, taste for sweetness. If needed, you may add around 10 drops of stevia to further sweeten your icing. Remove icing from the blender and put in the refrigerator for 15 to 30 minutes until it hardens a bit. Ice the top and sides of the sheet cake and refrigerate until ready to serve. Cut the sheet cake into thirty 2”x3” pieces by cutting the 12” side into six 2” slices and the 15” side into five 3” slices. Per serving: 245 calories, 14 g fat, 3.5 g saturated fat, 0 g cholesterol, 4.9 g protein, 27.1 g carbohydrates and 2.7 g of fiber. To make a thicker and smaller version of the cake, prepare the entire cake recipe and pour into a lightly greased 9”x13” pan. Do not use wax paper as you will be serving the cake in the pan. You may need to cook it a bit longer than the sheet cake but test it after 30 minutes. When it’s done, cool completely. Make only half the icing recipe, leave the cake in the pan and just ice the top. Cut into twenty 2 ½” x 2 ¼” servings (5 by 4). Per serving: 285 calories, 14.8 g fat, 3.1 g saturated fat, 0 g cholesterol, 5.3 g protein, 34.8 g carbohydrates and 3.4 g of fiber. Artichoke heart, black olive, roasted red pepper and peperoncini antipasto. When entertaining guests, healthy vegetarian appetizers can sometimes be a challenge. Often you end up with a bowl of vegetables surrounding some kind of dip—not a bad choice, but here is a more creative alternative. Growing up in an Italian home, my parents would always create a beautiful antipasto when guests would visit or if we were to bring a dish over to someone’s home. Antipasto literally means “before the meal” and can either be served as an appetizer or as the first course. It can be simple or elaborate, large or small. This weekend I hosted a 2 day summer solstice party for my family (we decided Christmas was too stressful so we would have our holiday party later in the year). With all of the food preparation needed, I decided to do a very quick and easy antipasto as you can see. Many antipasto recipes include heavy slices of salami and cheese but you can create a very imaginative and tasty vegan dish. Just start with a platter and arrange the ingredients in rows of contrasting colors. In the picture you’ll notice that I separated the green peperoncini and artichoke hearts with black olives and bright red roasted peppers. • Marinated artichoke hearts (they come pre-prepared in a jar or at a salad bar in your grocery store). • Your favorite olives (many stores have olive bars where you can get oil cured, kalamata, Greek, or olives stuffed with pimentos, almonds or garlic, and other interesting things. Or, for simplicity, just use pitted black olives in a can. Kids generally will eat these. • Peperoncini (comes prepared in a jar). • Roasted red peppers (for simplicity, use the ones in a jar. Rinse under water, slice and marinate overnight with several tablespoons of extra virgin olive oil and a clove or two of minced garlic). • Grilled or broiled veggies (lightly brush a mixture of olive oil, balsamic vinegar, salt, pepper and garlic powder on the vegetables and cook them on a grill or broil them in an oven). I generally use zucchini, Portobello mushrooms, eggplant or red peppers. • Pickled or marinated vegetables like cauliflower and carrots (you can usually find these premade). • Marinated chick peas (drain and rinse a can of chick peas and combine with olive oil, salt, pepper, vinegar and an herb like fresh thyme, tarragon or dill. • Garnish the plate with several heads of roasted garlic. (Chop off the tops so you see the tops of the cloves. Drizzle a teaspoon of olive oil over each head and wrap in aluminum foil. Put in a pie pan and bake at 400 degrees for about 30 to 40 minutes. They should be soft to the touch). Serve with a sliced baguette. There’s nothing richer than a ripe avocado and they are plentiful and reasonably priced this time of year. Although some may avoid them because of their high fat content, most of the fats are healthy, monounsaturated fatty acids that include oleic acid. Oleic acid, the same fatty acid found in olive oil, has been shown to be a key contributor to the healthy Mediterranean diet and the prevention of breast cancer. Adding avocado to a salad increases the body’s ability to absorb healthy carotenoids (like lycopene and beta-carotene) from spinach, lettuce, tomatoes and carrots. Lycopene is a very powerful antioxidant and has been associated with the reduction of cancer and heart disease. Avocados themselves are a good source of the phytochemical lutein, necessary for good vision. Lutein may lower your risk of developing cataracts and macular degeneration. Several studies that received a lot of attention showed that cooking food can significantly increase the bioavailability of some carotenoids in vegetables. Lycopene cooked in olive oil was shown to increase blood levels of this phytochemical. Since adding avocado may accomplish the same thing, perhaps it is the oleic acid in the olive oil, not the cooking, that increases the bioavailability. This is important for raw foodists who may be able to achieve this benefit without cooking the food and destroying other heat sensitive vitamins and phytochemicals. Avocados are high in fiber and a good source of important vitamins and minerals like vitamin K, potassium, folate, B6, vitamin C and copper. This creamy salad dressing is very versatile and can be used in many types of cuisine. It makes a wonderful vegan salad dressing and can also be used as the “hollandaise” sauce in my “Healthy Veggie Eggs Benedict” which I will post in a few days. It also makes a delicious sauce that can be served with baked or grilled salmon. 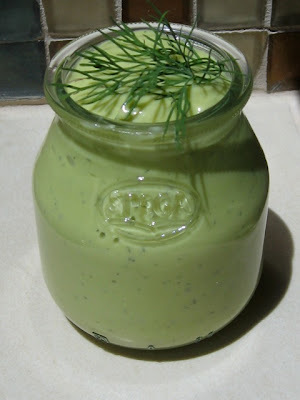 For a “raw vegan” creamy avocado dill sauce, substitute the soymilk with raw nut milk. Per tablespoon: 15 calories, 1.2 g fat, .2 g saturated fat, 0 g cholesterol, .4 g protein, .8 g carbohydrates and .5 g of fiber. I can’t believe how much these little healthy raw walnut balls taste like meatballs and they don’t take all day to cook. My Sicilian grandfather used to wake up at 5:00 AM every Sunday morning to make “sauce”. He’d carefully make his meatballs and then simmer them in tomato sauce for hours. I must admit they were pretty good but on a health scale from one to ten, they were certainly near the bottom and these are pretty close to the top. These also take a fraction of the time to make. As the zucchini and tomatoes start ripening in our gardens this is the perfect way to use them up. You can also put this raw tomato sauce on regular pasta. 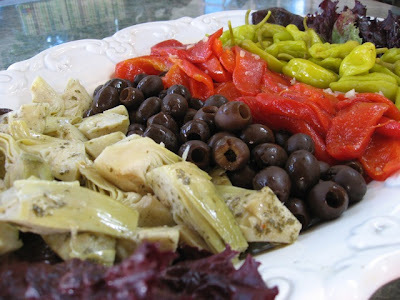 My husband and I would often bring this dish to the Bay Area Raw Food Potlucks and it was always a big hit. But you’ll have to make lots of it because it goes quickly! Walnuts are a very important food in the vegan diet as they depend heavily on nuts to obtain their omega 3 fatty acids. Walnuts are high in Alpha-linolenic acid (ALA) which is a type of omega 3 fatty acid. The most beneficial omega 3s are EPA and DHA, mostly found in fish. People can generally convert ALA into EPA and DHA but you have to eat enough of it. The Vegetarian Society recommends 4 g of ALA per day to ensure that you can produce enough EPA and DHA. This recipe delivers 3.7 g of ALA omega 3 fatty acid. The optimum balance of omega 6 to omega 3 is 4:1 but unfortunately most people eat a much higher ratio. This can interfere with the body’s ability to convert ALA into DHA and EPA. This recipe provides a beneficial ratio of 4 to 1 omega 6 to omega 3. Peel the zucchini and make spaghetti on a spiral vegetable slice (I prefer Benriner – see my post on April 20, 2009 for an illustration of this). Dry the spaghetti in paper towels (don’t skip this step or your spaghetti will be watery and will not hold the sauce). 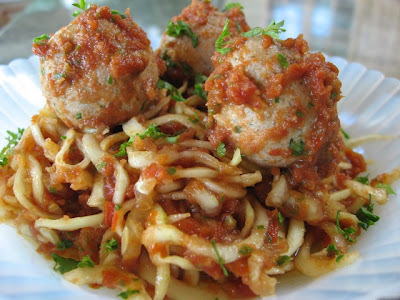 Place dried spaghetti in a mixing bowl. While running the food processor with an S blade, run the clove of garlic through the chute. After it is minced, add the drained sun dried tomatoes and date to the food processor along with the fresh tomatoes, basil, salt, cayenne pepper, olive oil and olives. Process until smooth. Place the tomato sauce in a small bowl and set aside. Wash and dry the food processor. Drain and rinse the walnuts and add them to the food processor along with the nutritional yeast, olive oil, lemon juice, Nama Shoyu and garlic. Process until smooth, stopping now and then to scrape down the sides. Add thinly sliced green onion and minced fresh parsley and pulse several times until combined. Make 12 little round meatballs from the mixture. Dip each one in the sauce until covered and set aside. Take the rest of the sauce and add it to the zucchini. Divide the zucchini and sauce into 4 plates and place 3 sauce covered meatballs on each. Garnish with parsley and serve immediately. Per serving: 380 calories, 30.9 g fat, 3.2 g saturated fat, 0 g cholesterol, 10.6 g protein, 23.3 g carbohydrates, 7 g fiber, 3.7 g omega 3 and 15.5 g of omega 6. 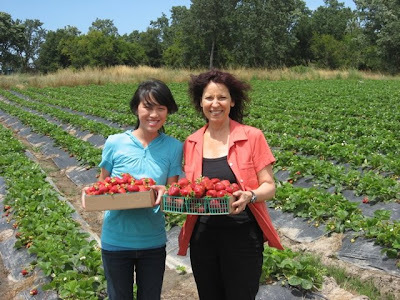 Emily Saetern shows me her father's strawberry farm in Sebastopol, California. A flat of strawberries. Enough for jam and much more! 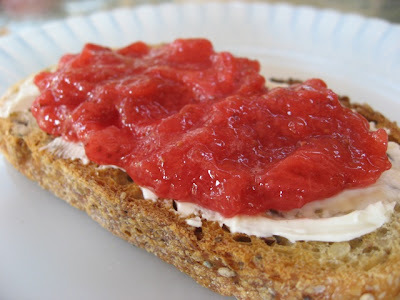 Healthy jam on whole grain toast. 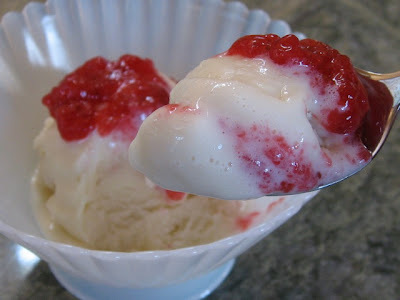 Use as a healthy fruit topping on your favorite ice cream. Save the tops in the freezer and use in your morning smoothie. 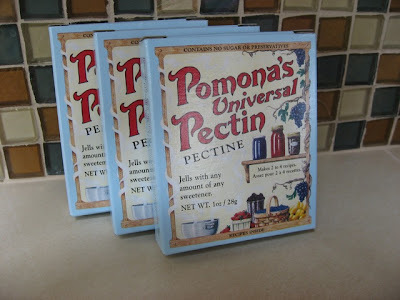 So you can only imagine my excitement when I discovered Pomona’s Universal Pectin that allows you to make actual “low sugar” or even “no sugar” jam with the proper consistency and that tastes more like fruit than candy! The secret of their pectin is that it depends on calcium to set the jam, not sugar. So you can make jam with a small amount of sugar, or use honey, fructose, maple syrup, fruit juice concentrate, agave nectar or stevia. Since this was my very first attempt using Pomona, I opted to use organic cane sugar (1 1/2 cups for 8 cups of mashed fruit), about a quarter of what is called for in Sure-Jell’s “low sugar” recipe. 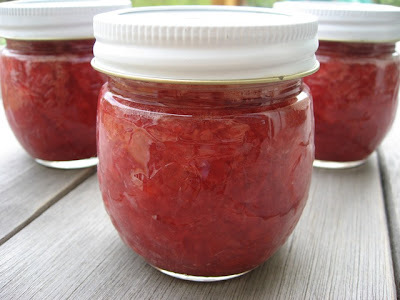 I will try to make it with Stevia next time but for now, I will tell you that this strawberry jam came out terrific. It’s light, fresh and tastes like actual fruit! The only problem is that you will want to eat it with a spoon right out of the jar. And, it’s only 12 calories per tablespoon. Strawberries are in season here in Sonoma and you see them featured in every grocery store. 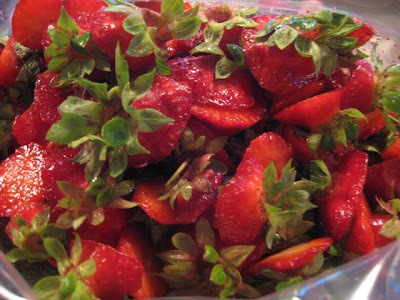 My favorite place to buy strawberries is at Lao Saetern’s strawberry stand about 1 mile east of Sebastopol on highway 12. They are grown without pesticides and are the most delicate tasting strawberries I’ve ever eaten. We went there the other day to buy a flat (12 pints) of strawberries and Lao’s daughter Emily was nice enough to show me the farm. We walked down a long dirt road to find acres and acres of fresh, enormous strawberries—as far as the eye could see. If you are ever in Sebastopol, this stop is a must. Many of the strawberries are picked that hour or even while you wait. 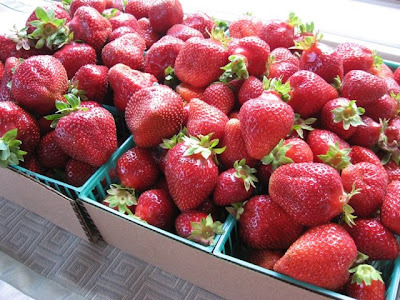 And, the prices are very good, especially for pesticide free strawberries. Use this fresh jam on toast, waffles or pancakes or as a topping for ice cream. 2. Prepare strawberries. Remove hulls and stems and mash. (I save the tops and put them in a freezer bag for use in my morning smoothies). Measure 8 cups of mashed strawberries and put into a pan. 4. In a separate bowl, thoroughly mix 1 ½ cups of organic sugar with 4 teaspoons of pectin. 6. Fill jars to 1/4 inch of top. Wipe rims clean. Screw on 2 piece lids and put filled jars in boiling water to cover. Boil 10 minutes (add 1 minute more for every 1,000 feet above sea level). Remove from water and let jars cool. As they cool, the seals-lids should be sucked down (you’ll hear them pop). Lasts about 3 weeks once opened. Per tablespoon of jam: 12 calories, .1 g fat, 0 g saturated fat, 0 g cholesterol, .1 g protein, 3 g carbohydrates and .3 g of fiber. Are Health Conscious People in the Minority? 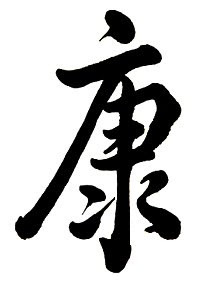 The Chinese symbol for health and longevity. Why people must take responsibility for their own health. I generally don’t rant on my blog but I read a paper published in June, 2009 in the American Journal of Medicine that really ticked me off. A study was done at the Medical University of South Carolina. They studied healthy lifestyle habits in the US during the 18 year period from 1988 to 2006. Since lifestyle is associated with cardiovascular disease, the leading cause of death in America, they wanted to see if people were adhering to healthy lifestyle habits and if there was improvement during this time frame. After all, there has been a lot publicized over this time period to encourage people to improve their habits so you’d certainly expect an improvement, right?? I’m amazed at the results of this study. Our healthcare system in the U.S. is in a shambles and Obama is seriously trying to fix it but that’s impossible if people won’t take responsibility for their own health. I admit some of these could be tough, but in a way, they are all related. If you improve one or two of these habits, the rest will follow. Eating 5 or more fruits and vegetables a day will help fill you up and you will lose weight naturally. And no, catsup on your fries does not count as a fruit and a vegetable! I have posted many fruit and vegetable recipes on this blog so if you’re not getting enough, try some of these. One of the problems is that Americans want cheap food. The cheapest food is often the unhealthiest. Perhaps we should stop subsidizing the farmers to grow corn (which ends up in high fructose corn syrup, corn fed beef, and a million other fattening things—please watch the documentary, “King Corn”) and incentivize farmers to grow fruits and vegetables! When you’re working, it’s especially hard to get to the gym but you need to pick something that you love to do. Walking, dancing (I adore my Zumba class), yoga, biking, swimming; whatever will inspire you to dedicate the time. Getting a partner will help immensely. When you are not in the mood to exercise, there’s nothing like having a partner to encourage you to go. Alcoholic drinks are empty calories and although a glass of wine a night may have some health benefits, too many glasses just leads to weight gain. There are 120 calories in a 5 ounce glass of wine. If you drink one less glass of wine per night, you’ll lose one pound a month! And while you’re not having that extra drink, go out and walk 30 minutes a night. You’ll lose another pound a month! Smoking is a tough one. I grew up in New York where kids start smoking in high school or sooner. My mother smoked and didn’t even try to discourage me when I started smoking at 14. Back then, we didn’t know how bad it was. They even had commercials showing doctors puffing away on cigarettes. It wasn’t until 1964 when the U.S. Surgeon General’s report revealed the health risks of cigarettes and people finally began to understand the serious consequences. This lead to the first Cigarette Act requiring a warning on cigarette packages. When I moved to California 21 years ago, I just stopped cold turkey. I think you just have to “get it” that this stuff kills you. It’s said that almost half of Americans who smoke will die from it. That’s over 440 thousand people a year in the U.S. that will die from tobacco related illnesses. Cigarettes cause at least one third of all cancer deaths including lung cancer and cancer of the larynx, mouth, throat, bladder and esophagus. It’s also linked to cancer of the pancreas, cervix, kidney, stomach and some forms of leukemia. Also, encourage your kids not to smoke. About 20% of the students in high school smoke as well as 6% of middle school students. So why am I ticked off about the report showing the decline of people’s healthy lifestyles? How does that affect me and my family? Well, because of the increase of self induced illnesses due mostly to obesity and smoking, healthcare costs have sky rocketed for all of us. Many young, self-employed and retired people can no longer afford health insurance, even if they are healthy. Medicare is collapsing because of the burden of dealing with degenerative disorders like heart disease, diabetes and many cancers that are caused by years of poor choices. I’m mad because we will NEVER fix the healthcare problem in the U.S. unless all people participate in their own wellness. It’s truly worth the effort and it may save your life! 4 1/2 inch tart pan with a removable bottom. The pleasure of a dessert has many facets. Of course it has to be delicious but it also adds a lot to your experience if it’s beautiful. And, I must admit, there’s nothing much prettier in the dessert department than a tart! So I went on Amazon looking for miniature tart pans. They were selling a set of six 4 ½ inch pans with removable bottoms (very important), from Golda’s Kitchen (a company in Mississauga, Ontario). I’m still experimenting with recipes, but the easiest and most tasty so far is one that uses a simple raw vegan crust made from walnuts and dates and is filled with my favorite soy ice cream. 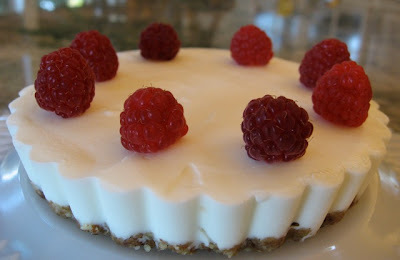 Top it with some raspberries and you have an elegant and delicious treat. Its presentation will impress your guests and they will never know it took you 10 minutes to prepare it. The soy and walnuts make this a heart healthy, guilt free dessert. I love soy ice cream but you need to taste different brands to see which one you like as they vary in sweetness and texture. There are some terrific ones on the market now and the selection continues to grow. I like Turtle Mountain’s “So Delicious Dairy Free Creamy Vanilla” and another favorite is “Soy Dream Green Tea”. For my non vegan friends, feel free to fill this tart with healthy, low fat frozen yogurt full of live cultures. Our local yogurt shop makes a flavor called, “simply Sebastopol”. It contains organic non fat milk and is sweetened with organic agave syrup which has a lower glycemic index than regular cane sugar. Another non vegan option for those of you who may be allergic to cow milk or soy milk products is Laloo’s goat’s milk ice cream. Their grass fed goats roam around on 350 acres in Sonoma County, California. Their ice cream is low in fat, contains no growth hormones, has live active cultures and allows superior digestibility over cow’s milk. Many lactose intolerant people can tolerate goat’s milk. My husband picked up some “Deep Chocolate” for his tart and it was truly amazing. Remove ice cream from the freezer and let soften. Process walnuts and salt in a food processor until course. Add dates and process until the mixture starts to stick together but be careful not to over process. This will make 3 cups of crust. Use a minimum of 1/3 cup per tart. Oil the bottom and sides of the tart pan. Press the nut mixture firmly in the bottom and place enough ice cream over the crust to fill the pan. With a very long and thin spatula (the kind used to ice a cake), spread the ice cream out until it is very smooth and completely even with the top of the pan. Place in the freezer until hard (at least 4 hours). 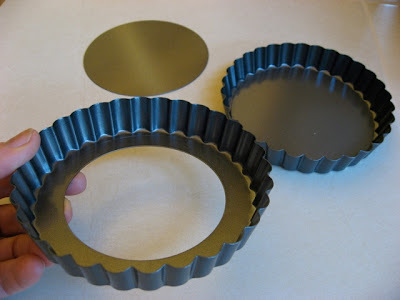 Carefully remove the tart by placing it on top of a small glass or jar smaller than the removable disk in the tart pan (I use a large vitamin bottle) and pushing down until the tart comes out. Leave the disc on the bottom of the tart (it’s too hard to remove) and place tart in a small dish. Garnish with raspberries and serve immediately. 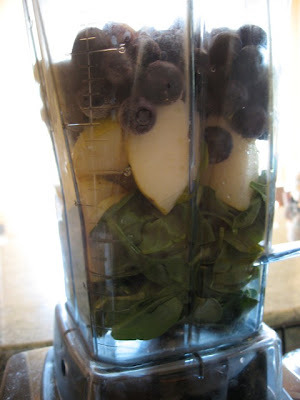 Layers of spinach, pear and blueberries in a Vita Mix blender. By now you know I’m rather partial to starting my mornings with a raw smoothie, especially one that contains blueberries. Today, I’m going to share another smoothie recipe that combines the antioxidant benefits of blueberries with the many health benefits of raw spinach, pears, brazil nuts, and flaxseed oil. It’s important that blueberries only be used in DAIRY FREE smoothies. It has been demonstrated that blueberries may lose their antioxidant power if eaten with milk as their have an affinity for milk protein. Blueberries are not only a very good source of vitamin C, K and manganese, but they are on top of the antioxidant scale. Tufts University rated 60 fruits and vegetables for their antioxidant content and, you guessed it, blueberries were rated numero uno in their ability to destroy free radicals! The plant chemicals in this wonder fruit can protect against heart disease, glaucoma, cataracts, ulcers, dementia and cancer. And, they are low in calories. I just planted 3 blueberry bushes but in the meantime, I have found frozen organic blueberries for a pretty decent price. I like the frozen ones since they are usually cheaper, they are still considered “raw” and they make the smoothies thick without using ice. I found some beautiful pears the other day which always are great in fruit smoothies. Pears are high in fiber with only one large fruit providing 7 grams! Pears also give smoothies a very creamy consistency. Spinach may sound a bit weird for a smoothie but I love using greens in my morning concoctions (you may remember me putting Kale in my “Good Morning Kale” smoothie posted January 23, 2009). But with a high speed blender and all of this wonderful fruit, you won’t even know it’s in there and you will have the amazing benefits of this vegetable. Besides its phytochemical content said to prevent eye disease, spinach is a very good source of vitamin A, C, E, K, thiamin, riboflavin, B6, folate, calcium, iron, magnesium, phosphorus, potassium, copper and manganese. There is some debate over the usability of calcium and iron due to its oxalic acid content, but according to Dr. Norman Walker (a pioneer in the field of raw juicing), the oxalic acid in our RAW vegetables does not have this effect. Since he lived to 99 years old, I think he’s a pretty reliable source. I add some flaxseed oil to this recipe since it’s a great source of alpha-linolenic acid (ALA), needed by EVERY cell in the body. The body can convert ALA into all the omega 3 fatty acids it needs, including EPA and DHA. Most people get EPA and DHA from fish or fish oil. However, vegans depend heavily on getting enough of this through eating flaxseeds, chia seeds, walnuts and hemp. You may also supplement with a vegetarian source of DHA and EPA derived from algae. This becomes more important as we age since the body becomes more inefficient in the conversion of ALA to DHA and EPA. Make sure the flaxseed oil is “cold pressed” as heat destroys this delicate essential fatty acid. It must always be refrigerated. Also, check for the “when pressed” and “best if used by” dates to ensure optimum freshness. As always, I throw in a few brazil nuts for their high selenium content, a powerful antioxidant. Place all ingredients in a Vita Mix or other high speed blender. I usually put the frozen fruit on top so it doesn’t freeze up the blender. Process until smooth and serve immediately. Per serving: 241.5 calories, 6.5 g fat, 1.3 g saturated fat, 0 g cholesterol, 3.8 g protein, 46.3 g carbohydrates, 9.5 g fiber, 1.9 g omega 3 and 1.7 g omega 6 fatty acids. 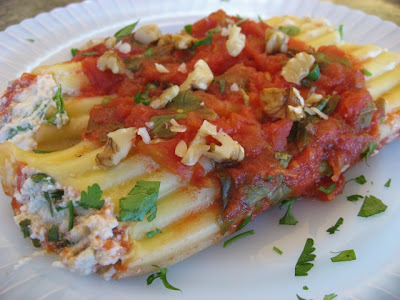 Top manicotti with fresh parsley and chopped raw walnuts. An 11 X 7 inch casserole dish holds 8 manicotti. Whether you’re vegan, vegetarian, lactose intolerant or a meat eater, this light and healthy manicotti will satisfy you and your guests. This dish uses tofu in place of ricotta, mozzarella and parmesan cheese. That may sound like a tall order to replace, but you’ll be surprised how rich and creamy this recipe tastes. And, it has no cholesterol and is significantly lower in saturated fat. The walnut topping, together with the soy protein in the tofu, makes this a heart healthy choice. It’s also low in calories and would fit nicely into a weight loss regimen. I noticed a new product when I went tofu shopping for this dish (at least it was new to me). It’s called SprouTofu by Wildwood Organics, made from “sprouted” soybeans. In several of my “raw food” posts, I pointed out the many benefits of sprouting. These sprouted soybeans will make the tofu higher in nutrients, lower in phytates, more alkaline and easier to digest. Tofu is high in calcium, protein and iron – all very important in the vegan diet. If you can’t find sprouted tofu, just make sure the tofu you pick is organic and non-GMO. The nutritional yeast in the recipe adds many important vitamins and minerals, especially B vitamins like thiamin, riboflavin, niacin, B12 and folic acid. Serve this with a green salad, a loaf of crusty whole grain bread, and a nice bottle of Sonoma Pinot Noir. Preheat oven to 350 degrees and take out an 11 x 7 inch baking dish. Put the cloves of garlic through the chute of a food processor and process until they are minced. Squeeze some of the moisture out of the tofu. Break the tofu up in large pieces and add them to the food processor along with the nutritional yeast, 1 tablespoon of the olive oil, egg replacer, and salt. Process until smooth. Add ½ cup of the chopped parsley and pulse a few times until it is mixed in and set aside. In a blender, pulse the diced tomatoes, 1 tablespoon of the olive oil and the basil a few times until the basil is mixed in and the tomatoes are chopped. Pour about one third of the mixture in an 11 X 7 inch casserole dish and spread it over the bottom. To make them easier to fill, cook the manicotti shells a few minutes less than the directions state (Ronzoni calls for 7 minutes and we cooked it for 5). Gently remove the manicotti from the cooking water and rinse under cold water. 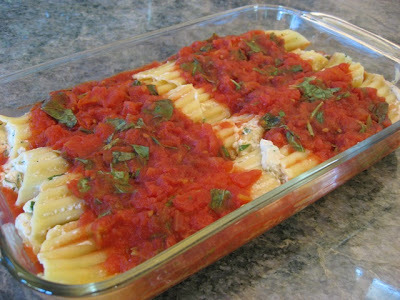 Fill the manicotti with the tofu/parsley mixture and place them over the tomato sauce in the casserole dish. When all 8 filled manicotti shells are in the casserole dish, spoon the rest of the sauce across the middle of the manicotti leaving the tops and bottoms uncovered (see picture). Cover the casserole dish tightly with aluminum foil and put in the preheated oven for 40 minutes. Remove from oven and with a long, firm spatula, transfer 2 manicotti in each of 4 plates. Top with the rest of the chopped parsley and the chopped walnuts and serve immediately. Serve with a small bowl of nutritional yeast or vegan parmesan (optional). Per serving: 330 calories, 15 g fat, 1.9 g saturated fat, 0 g cholesterol, 17.2 g protein, 34.5 g carbohydrate and 5.7 g of fiber. 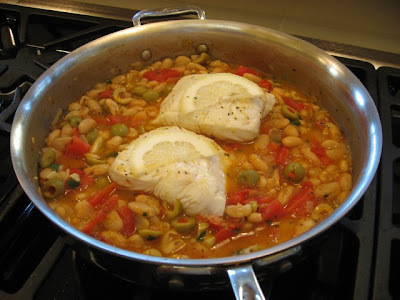 Vaughn's Halibut over Provencal Bean Stew. When shopping, check your guide for "mercury content" and avoid "over fished" selections. 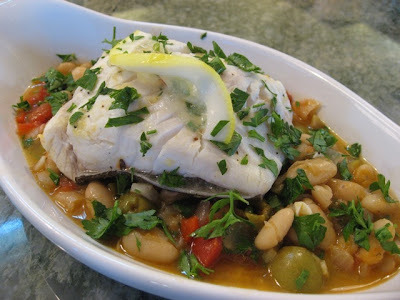 Put seared halibut over the simmering bean stew and place in oven. My son Vaughn is a wonderful cook. I occasionally have to cut out a few tablespoons of butter from his recipes but other than that, his dishes always surprise and delight me. So when he told me about his latest favorite recipe, I was anxious to publish it. As I began to write about this fish recipe, I realized that it’s just not that simple. There is so much to say about eating seafood from the standpoint of health and other issues. So I think I’ll just address some popular concerns. Fish is a good source of protein, niacin, vitamin B6, B12, phosphorous, selenium and of course, omega 3 essential fatty acid. The American Heart Association says that fish offers benefits in heart health and recommends fish for the prevention of heart disease, the number one cause of death in the US. A new study from Loma Linda University in California shows that both walnuts AND fish products in the diet are needed to lower the risk of coronary heart disease (CHD). This study shows that fish and walnuts have different benefits. Walnuts reduce cholesterol levels while fish causes a decrease in blood triglyceride levels and an increase in beneficial HDL. So vegan diets that depend solely on getting their omega 3 fatty acids from nuts and seeds may not get these added benefits. There’s a lot more to discuss on vegan diets and cardiac health so I will save that for another day. Is fish safe to eat? What’s the story on mercury? Can you eat fish if you are pregnant? All seafood has some level of mercury which could pose a risk to pregnant women and young children. However, studies show that for optimum fetal growth and development, moms-to-be would benefit from the omega-3s that you can get from eating fish. So this is quite a conundrum. You need these fish omega-3’s for proper fetal brain development but you need to be careful not to expose your fetus to mercury! To address this, the FDA recommends that pregnant women limit their consumption to 12 ounces per week and to select low mercury fish. I found a comprehensive list of fish ranging from “least mercury” to “avoid eating” on http://nrdc.org/heatlh/effects/mercury/guide.asp . I believe their recommendations for eating and avoiding certain fish are directed towards women who are pregnant or planning to become pregnant, but I would think all of us want to pay attention to the levels of mercury in our food. Examples of “least mercury” include; butterfish, clams, herring, oysters, salmon, scallops, shrimp, pacific sole and calamari. These should be limited to two servings per week. They recommend that pregnant women limit “moderate mercury” fish to six servings a month. Examples of “moderate mercury fish” are: Alaskan cod, halibut, lobster, mahi mahi, and canned chunk light or skipjack tuna. They recommend limiting “high mercury” fish to three or less servings per month. A few examples of “high mercury” fish include grouper, Chilean sea bass, canned albacore tuna and yellowfin tuna. The “highest mercury” fish on the list include orange roughy, shark, swordfish, tilefish and ahi tuna and there advice is to avoid eating these completely. For the complete list, go to http://nrdc.org/heatlh/effects/mercury/guide.asp. Of course, there are also very good non fish sources of omega3, as many vegan and vegetarian moms and their healthy babies will attest to. But this is, after all, an article on fish so I’ll address that at another time. Most fish is pretty low in cholesterol (about .5 mg to 1 mg of cholesterol per gram of fish) but some shellfish, like shrimp, are higher. Only 6 ounces of shrimp will get you to the American Heart association’s recommended daily limit of 300 mg of cholesterol. Oysters and scallops are much less. Being mindful of portion size, shellfish can be a good, low calorie, low fat source of protein, especially if you don’t fry them up and dip them in a mayonnaise based tartar sauce! What’s better, wild caught or farmed fish? Farmed fish are raised in smaller, confined areas making them more susceptible to disease. To prevent this, they are given antibiotics which eventually end up in us making us more antibiotic resistant. Some farmed fish are fed chemical dyes to make them look more like wild fish. Commercial fish feeds are different from what fish eat in the wild which can affect the fatty acid profile of the farmed fish. This may decrease their beneficial omega 3 content. Some also report that farmed fish have higher levels of PCBs, (chemicals that have serious long term health consequences). 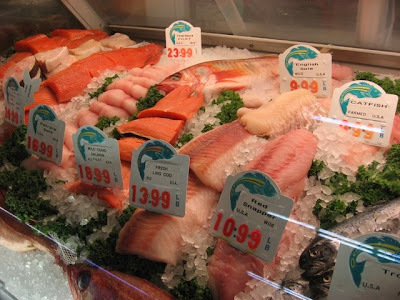 Many farmed fish in your supermarket are from other countries that may have different standards than we do. All in all, I prefer fresh, wild caught fish. Aren’t some fish “over-fished”? How do I know what these are? Because of the increasing consumption of fish, many fish populations are in serious decline. You can make a difference by carefully selecting what you eat and avoiding certain species like Atlantic cod, monkfish, orange roughy, and swordfish, to name a few. For a full list of the best choices and the fish to avoid, go to the Monterey Bay Aquarium Seafood watch “pocket guide” at http://www.montereybayaquarium.org/cr/cr_seafoodwatch/download.aspx . Seafood can be a healthful part of your diet, providing protein and important nutrients like omega 3 fatty acid. Pregnant women should be careful to limit their consumption and to avoid high mercury fish. Unlike farmed fish, wild caught fish is free of antibiotics, chemical dyes, has lower PCB levels and may a have higher omega 3 content. To be more conscious of the severe decline of many species of seafood, pay attention to the Monterey bay aquarium, “Seafood Watch” guide when selecting fish in a supermarket or a restaurant. So I went to the market with my “Consumer Guide to Mercury in Fish” and the “Seafood Watch” guide in hand. Paying particular attention to where the fish was from and whether it was “wild caught”, I selected Pacific Halibut which is not over fished and only has a “moderate” mercury content. Sounds like a bit of trouble (and I did drive the poor guy behind the counter a little nuts) but in the end, we had a delicious, healthy and socially conscious meal! Marinate the halibut in a combination of lemon juice, lemon zest, olive oil, salt and pepper for 30 minutes to two hours. In an oven proof skillet, sauté onion in 2 tablespoons of extra virgin olive oil for 5 minutes. Add tomatoes, olives, garlic and seasonings and continue to sauté for another minute or so. Add beans and wine or vermouth and mix well. Cover and bring to a boil. Lower the heat and crack the lid and cook on the stove for 25 minutes, stirring occasionally. Meanwhile, preheat the oven to 350 degrees. Heat up a smaller, non-stick skillet and cook the fish for about 1 minute a side. ( The fish should have enough oil from the marinade on it so you may not need any additional oil in the pan). After the bean stew has cooked for 25 minutes, place the fish over the beans and immediately put the skillet, uncovered, in the preheated oven for 15 minutes or until the fish is cooked. Halibut cooks (and dries out) quickly so don’t over cook it. Carefully remove the skillet from the oven (and remember the handle is still hot once it’s on the stove – I forgot and burned my arm!). Place the beans and fish in two individual bowls or casserole dishes and garnish each dish with 2 tablespoons of parsley. Per serving: 588 calories, 24 g fat, 3.1 g saturated fat, 54mg cholesterol, 40.6 g carbohydrates, 9.5 g fiber, 1 g omega 3 and 1.4 g omega 6. Roasted medley of baby squash on whole wheat pasta shells. The Sunday farmers market in Sebastopol, California. Buying baby squash at the market. 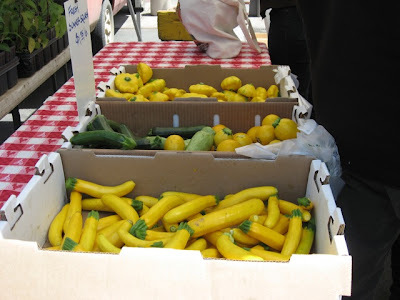 Baby yellow and green zucchini, patty pan and lemon squash. 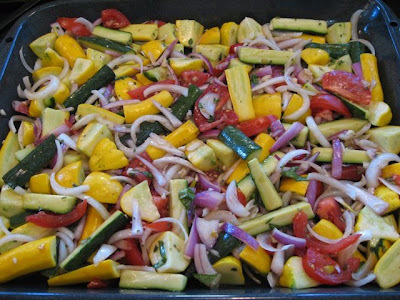 Squash, onions, tomatoes, garlic and seasoning in the roasting pan. 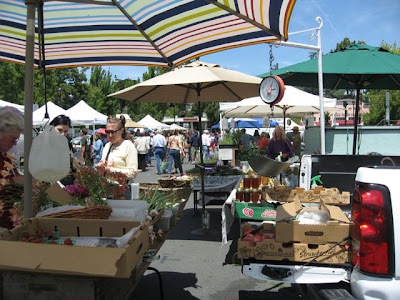 Sunday I visited my local farmers market in the Sebastopol town square. It was a nice sunny day and there was almost a party atmosphere with happy crowds walking around with their eco-friendly canvas bags. Besides the usual farmers and their wonderful produce, there was a guitar player on stage, a vegetarian tamale stand next to a vendor selling Indian curry. The aromas were amazing! There were bakers selling freshly made whole grain breads (my husband bought a whole grain, walnut sourdough) and farmers selling fresh eggs. You could buy hand made cheeses, flowers, fresh honey and fish that was caught that morning. Why on earth would anyone go to a supermarket when you can have a shopping experience like this? People in America have gotten so disconnected from their food. Most people don’t even know what food they are eating since it came out of a box that has 20 mysterious ingredients listed, most of which were derived from corn. (For more on this, watch the documentary called, “King Corn”). 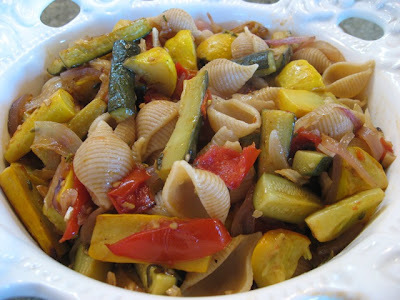 So I thought I would take you to the market today, buy the ingredients from a local organic farmer, and show you how to make fresh, tasty, roasted baby vegetables and mix them with a hardy, protein and fiber rich whole wheat pasta. As is, the dish is vegan but others could serve this topped with goat cheese or parmesan. Preheat the oven to 450 degrees. Fill a large pot with water and salt and get ready to boil pasta. Lightly oil a large roasting pan and set aside. 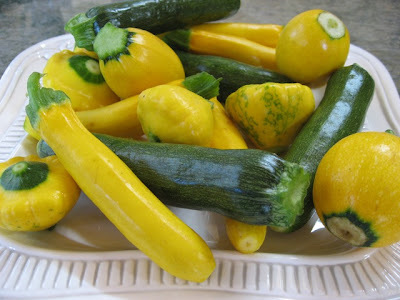 Cut the baby yellow and green zucchini in quarters length wise and then in half so you have a large julienne. Cut the lemon and patty pan squash in quarters or eighths depending on their size. Put them in a large bowl. Add the drained tomatoes, garlic and herbs. In a small bowl, mix the olive oil, balsamic vinegar, honey, salt and pepper. Pour this mixture over the vegetables and mix well. Spread the mixture out in the large roasting pan. Bake in the oven for 20 to 30 minutes, or until the squash is soft. Prepare the pasta according to directions while the squash is baking. Mix the roasted squash with the pasta and serve. You can garnish with more chopped basil. Top with nutritional yeast, as a vegan option, or others can top with crumbled goat cheese or parmesan. Per serving: 357 calories, 8 g fat, 1 g saturated fat, 0 g cholesterol, 10.3 g protein, 62.3 g carbohydrates and 8.8 g of fiber.